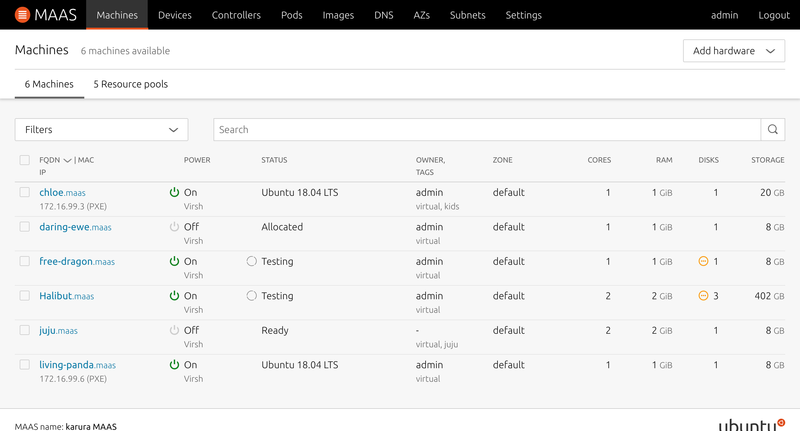 MAAS shows your KVM pod’s CPU cores and RAM, as well as the free space in storage pools. 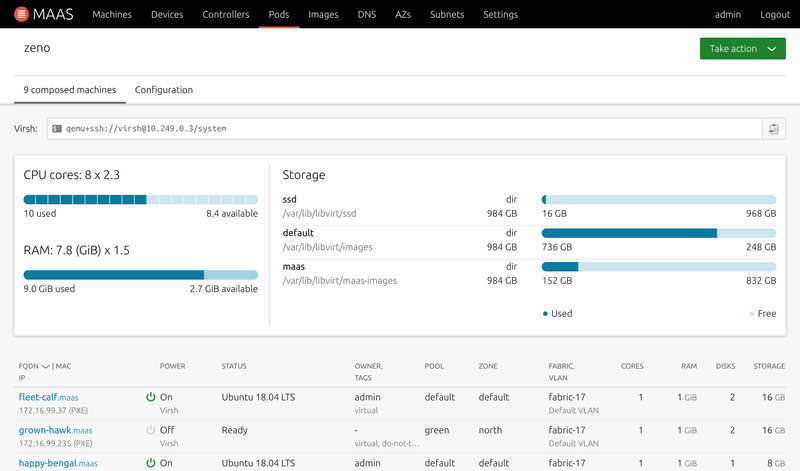 Manage and visualise overcommit ratios. 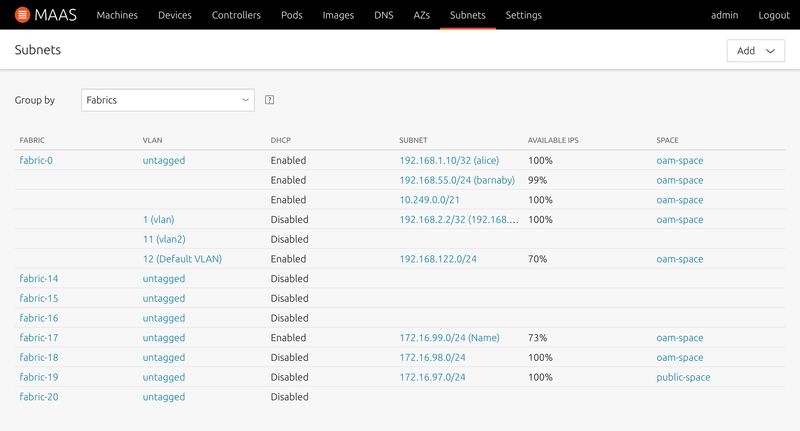 Assign one or more volumes from the default and other available pools. 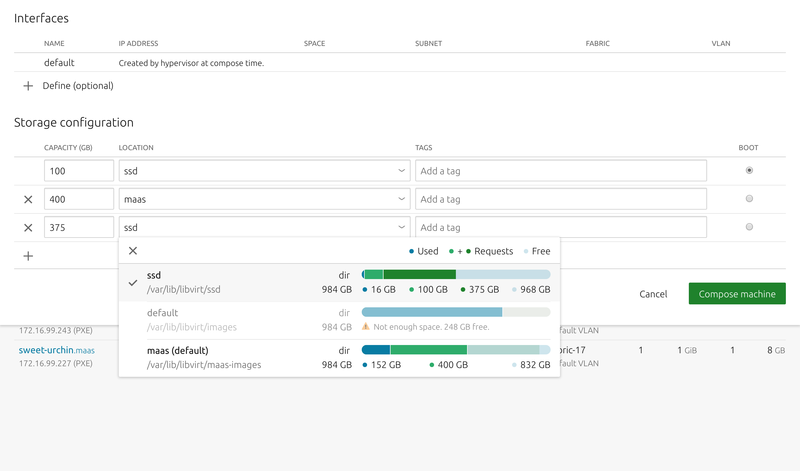 View the total size of your requests and the free space remaining. Create software defined networking as complex as you need. 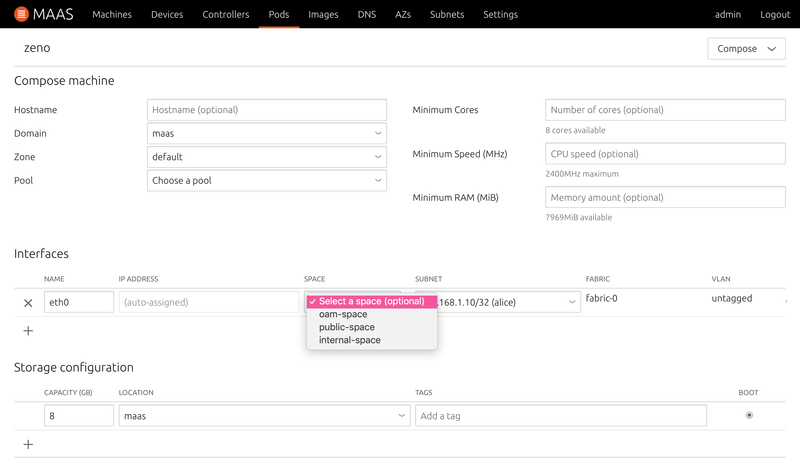 Assign interfaces to spaces for Juju models, browse subnets by fabric and VLAN, or simply type an IP number. 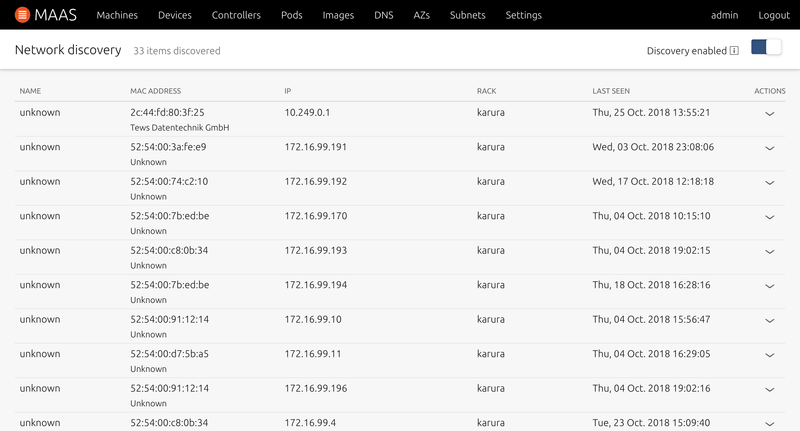 PXE boot your servers and containers and they will be automatically discovered and enlisted in MAAS. IPMI enabled machines work seamlessly with MAAS. 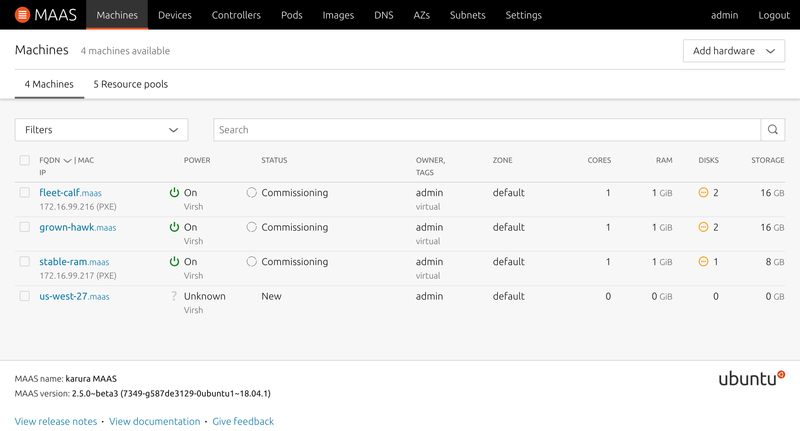 Use the Web UI or the command line (CLI) to remotely manage your nodes or use the API to automate management. 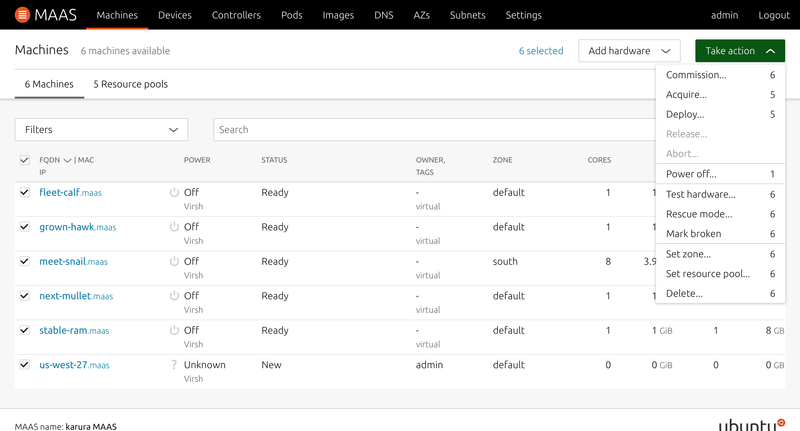 Manage individual or groups of servers. 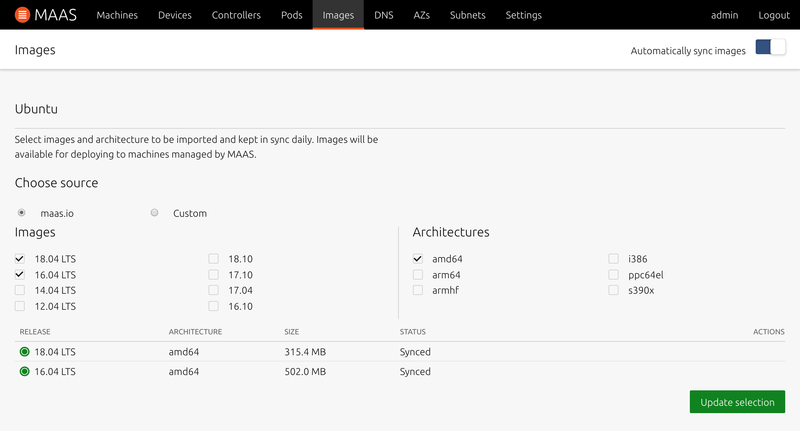 Import, update or sync the images or connect to an onsite mirror to work offline. 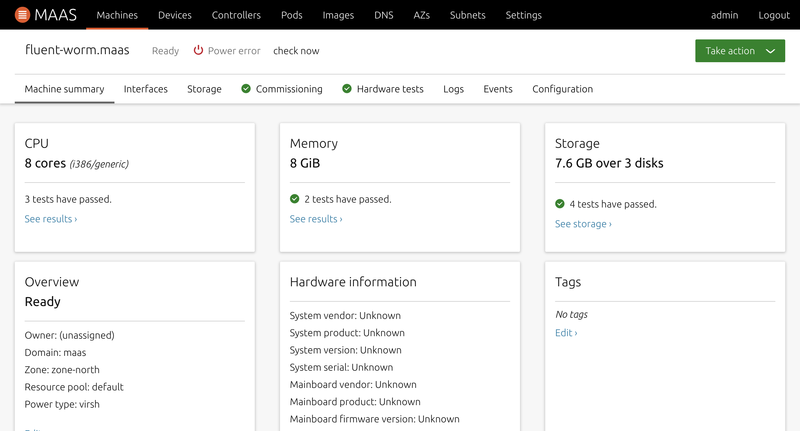 Dig into your hardware details that MAAS gathers during commissioning including; processors, memory, storage, networking, and other components. 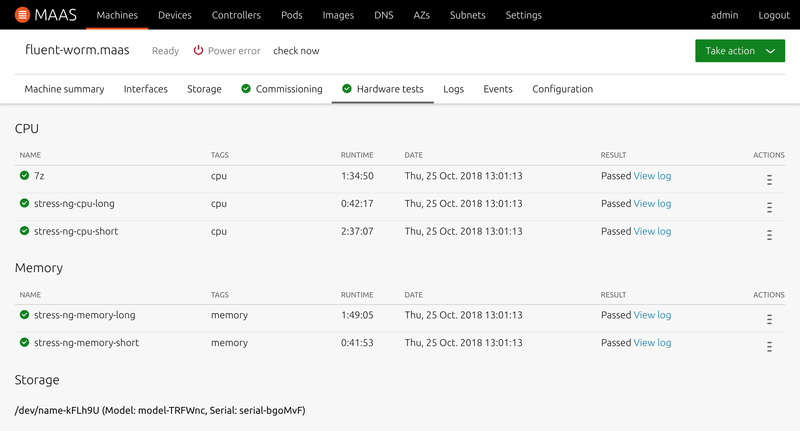 Event tracking allows you to monitor your machine throughout its’ lifecycle. Run MAAS provided tests or upload your own. Check your data centre health at a glance and easily identify faulty components. Run tests for each component to get up to date information about their health. Review captured metrics to better understand your hardware’s performance. 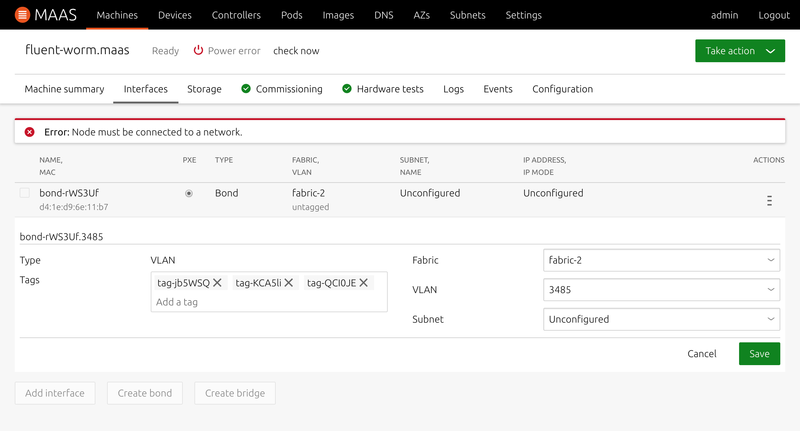 Access all historical testing data to discover trends of component metrics and failures. Want to understand the core concepts and get a high-level overview of MAAS and its architecture? What workloads and operations are important? What MAAS capabilities are important to you? What are your platform preferences?